Since late 2009 when rocket manufacturer Interorbital Systems (IOS) introduced its low-cost ($8,000) TubeSat Personal Satellite Kit and Launch package to the academic world, an unprecedented number of experimenters  many of whom would never have hoped to find the means to conduct on-orbit research  are now finishing the orbital applications, experiments, and the completion and testing of their own 40+ spacecraft. All these payloads  both TubeSats and CubeSats  are projected to launch on IOS NEPTUNE 9 (N9) rocket in the Spring/Summer window of 2012. Its a whole new, wildly expanding market. We had planned to conduct our first orbital effort with our five-module 30kg-to-LEO rocket, but that payload space sold out so rapidly that weve moved to a nine-module, 60 to 70kg-lift configuration, the NEPTUNE 9 or N9. We saw the pressing need for a dedicated and adaptable small sat launcher emerging over four years ago and are now meeting that need with our NEPTUNE family of modular rockets, Interorbital Systems CEO/Founder Randa Milliron stated. One of the keys to making this groundswell of entry-level satellite developers possible is IOS line of low-cost modular rockets. In terms of new rocket and satellite design, modular is the hot new buzzword  not only in creating flexible and affordable space launch architectures, but also, in the design, deployment, and new uses of satellites. Instead of relying exclusively on monolithic, multi-ton, billion-dollar satellites, both satellite service providers and manufacturers are now taking the small satellite phenomenon seriously. CubeSats and Interorbital TubeSats, a subset of small satellites, are relative newcomers in the world of satellite design and manufacture. Interorbital Systems, based in Mojave, California, since 1995, is developing a family of responsive modular, low-cost, orbital and interplanetary launch vehicles  the NEPTUNE or N-Series  that enable access to space for the private, government, military, and academic sectors. The primary design criteria for these rocket systems were minimized development and manufacturing costs, maximum robustness and reliability, and a nimble adaptability of form that could meet nearly every type of space launch mission requirement. The IOS design methodology required eliminating unnecessary, expensive, complex, failure-prone, or performance-limiting systems such as turbopumps and stand-alone pressurant systems. The key building block of the N-Series is the Common Propulsion Module, or CPM. A minimum of nine (9) CPMs is required for IOS first three-stage modular launch vehicle. N-Series rockets are powered by high-density storable propellants (white fuming nitric acid, turpentine, and furfuryl alcohol; this combination results in compact launch vehicles that are easy to transport, store, and hold in a state of readiness. Because the N-Series storable rocket propellants are hypergolic and ignite on contact, a separate ignition system is not required, increasing the overall reliability of each modules propulsion system through an ensured, instantaneous chemical ignition.  Introduction of a small satellite developers kit (linked to a guaranteed launch opportunity) that serves as a gateway for a constantly expanding launch-customer base. At present, Interorbital has all components in place and is about to begin its pre-orbital flight test program. Orbital launch plans include ocean-based services off the coast of California, followed by land-based operations in the South Pacific kingdom of Tonga, once launch services are sanctioned by US export control. Potential U.S. ranges for satellite launch activity include Kwajalein, Kodiak, and Wallops Island. IOS California-based launch operations will take place from several possible staging areas: Either from one of two ports in Northern California, or from the Port of Long Beach in Southern California. To mitigate risk of systems failure without the expense of a full-up launch vehicle test flight, Interorbital will launch test vehicles adapted from individual CPMs in a series of low-altitude flight tests under FAA Class 3 Waiver to verify the function and robustness of both hardware and software. Three test flights are planned for 2011-2012. IOS suborbital test launches using single CPMs will verify all rocket systems before an orbital launch is attempted. By using these individual inexpensive modular testbeds, rather than the full-up launch vehicle, development and debugging costs are substantially reduced. CPM TV Common Propulsion Module Test Vehicle is the flight test vehicle for a series of low-altitude (25,000-50,000 ft) rocket and launch systems tests, including recovery. This first CPM TV is unguided and fin-stabilized. The tandem-tank version of the CPM TV (pictured right), and the four-tank CPM TV II system (illustration shown above) are currently under development. The four-tank CPM TV II will initially be used in the second set of flights to test the guidance system, engine start/stop capabilities in flight, satellite ejection system, and other hardware and software in-flight tasks. At present, there are five payloads booked for these suborbital test flights: The Naval Postgraduate School, Morehead State University, and KAUST (King Abdullah University of Science and Technology). A single CPM launch vehicle can be used as a stand-alone sounding rocket or as a target drone. The CPM SR145 is a full-performance CPM capable of carrying 145kg to 310km in a ballistic trajectory. IOS orbital launch vehicles consist of three or four stages. The parallel method of staging is utilized. Each stage peels off the outside of the rocket, revealing the other stages nested inside the outer cluster. This results in a rocket with lower length-to-width aspect ratio making it less susceptible to wind shear and bending moments. Since all the launch vehicles engines are positioned side-by-side, air-starting of the stages is simplified by allowing the next stage to ignite while the previous stage is still burning, eliminating the need for propellant settling rockets. The minimum configuration for a three-stage version is 9 CPMs. Several versions will be available to match specific mission requirements. The number of CPMs can vary from the minimum nine to as high as 36. IOS N9 is a nine-module, three-stage rocket with a 60-70-kg lift to 310 km LEO. (N9, 9-CPM rocket, pictured left). The Stage-3 CPM has start-stop capability (using the auxiliary control system), allowing the N9 to deliver 20 kg to a 2,000 km circular orbit. Each N9 has six Stage 1 CPMs, two Stage-2 CPMs, and one Stage-3 CPM. The six Stage-1 CPMs generate 60,000 pounds of thrust; the two Stage-2 CPMs generate 14,400 pounds of thrust; the single Stage-3 CPM generates 7,200 pounds of thrust. This orbit was chosen to mitigate space debris  all satellites will re-enter Earths atmosphere and burn up after an orbital lifespan of from three weeks to three months, depending upon solar activity. It was Interorbitals President/Founder and CTO Roderick Milliron who decided to go one step beyond designing a new launch vehicle: He also provided a satellite kit that would serve as a gateway for those citizen scientists and academics who wanted to build a spacecraft that would not just become a fancy paperweight, but could be expected to be launched and to do important scientific work in space. After interfacing with the small sat community he found that people and organizations would much rather do the work of creating applications for a pre-existing orbital platform. 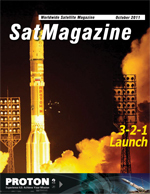 IOS has simplified the process through the one-stop-shopping aspect of its TubeSat Kit and Launch program. As of August, Interorbital introduced its new CubeSat Kit: Academic pricing per a 1U CubeSat Kit and Launch is $19,125. As there is high risk on the first launch, all payloads will fly at the academic rates. A two-tiered (academic and non-academic) price schedule will go into effect later this year. IOS is committed to keeping student project launch costs low and will strive to maintain the $8,000 academic price of its TubeSat kit and launch package. So, now, just whos on-board? Twenty additional projects with committed payloads are in various phases of arranging funding. These include academic, arts, private-sector, military, and corporate groups from the U.S., Peru, Mexico, Singapore, Chile, India, Hungary, Germany, Pakistan, New Zealand, the Dominican Republic, Holland, South Africa, and France. The list of those seeking passage on a dedicated launch grows daily. The payloads and applicationsof these small sats are truly many and varied, ranging from academic, to arts, to military, to pure space science, to music, even projects that are destined for the moon! Four Google Lunar X PRIZE teams have test payloads on Interorbitals maiden launch: Canadas PLAN B; Denmarks EUROLUNA; Germanys PART-TIME SCIENTISTS; and IOS official team: SYNERGY MOON. Other payloads on the IOS Mission I manifest include both TubeSats and CubeSats from the NASA Independent Verification and Validation (IV&V) Facility in West Virginia. Marcus Fisher, Associate Director of IV&V, is interested in getting multiple spacecraft into orbit so his team members can explore SWARM concepts and robotic applications, including creating software that runs as an intelligent fault manager/in-flight decision maker, and in another set of experiments, remotely controls manipulators and attitude control systems. � The Golden iPod is a modern version of Voyagers Golden Record, with a 16GB storage capacity. It is a project of Earth to Sky, spaceweather.com, a group of Bishop, California, middle school and high school students, and Dr. Tony Phillips. � TRACsat  TriVector Radiation and Attitude Control Satellite from TriVector Services, Inc., Huntsville, Alabama. Fundamental to many satellite missions is positioning the satellite in a desired orientation in orbit. The TRACsat aims to use simple electronics to determine the attitude of a nanosatellite in orbit. � The University of Sydney will fly the i-INSPIRE (initial - INtegrated SPectrograph, Imager and Radiation Explorer) satellite, which is intended to be Australias first University satellite to be launched and operated in space. It will carry a novel photonics-based spectrograph, an imaging camera, and a radiation detector. The team is led by Dr. Xiaofeng Wu and Iver Cairns. Scientific goals include (1) analyzing the first spectra from a spaceborne, photonics-based spectrograph, and identifying features related to the Earth, Sun and radiation events, (2) obtaining first images of Australia from an Australian satellite, and (3) obtaining radiation maps of the Earth to compare with space weather events and spectrograph data. � The Ultimate STEM programs: Brazils Ubatuba-Sat and University of Puerto Rico/ Marcelino Canino Canino Middle School. Both programs give hands-on training to children in the design and manufacturing of satellites. In Ubatuba, the 108 students, average age 11, compete to build the best TubeSat mock-up. The team with the best mock-up gets to build the actual spacecraft. Their program is the brainchild of Emerson Yaegashi and Candido Osvaldo. The Puerto Rican group is already known in NASA circles for the launches theyve already conducted in partnership with the agency. Their aggressive spaceflight program, which will use a TubeSat to measure micro-meteoroid strikes in the 310km orbit, is led by Gladys Munoz and Oscar Resto and is part of the Puerto Rican Space Grant Consortium. � Military payloads from the U.S. Military Academy at West Point, the Naval Postgraduate School in California and the U.K.s Defense Science and Technology Lab will conduct on-orbit tests and experiments that encompass many communications functions using small sats in creative ways such as ad hoc orbital nodes for ground-to-space communication links, Earth imaging/surveillance, and software/hardware viability testing. � Arts-Meet-Science payloads from Austrias MURSAT and Dr. Sandy Antunes Project Calliope add satellites with art, music, and photography as their core missions. Sandy wants to sonify the ionosphere and send back sounds for composers to freely use in musical works. MURSAT will serve as an Earth imaging system for the Austrian teams art project. The other projects on-board encompass military, communication, pure science, formation flying, tethering, propulsion system testing, advertising/social media experimentation, and many more exciting areas of on-orbit research. Please visit www.interorbital.com for links to all satellite projects on the current IOS manifest. Interorbital is currently in negotiations for dedicated launches using the N9 ($695,000 academic) ($995,000 nonacademic) and the follow-on N36 ($15-$20 million) variants of the modular rocket system. N36 is a 36-CPM, three-stage satellite launcher with a 1000kg lift capability. A four-stage (Lunar Transfer Stage) version will be used for lunar missions (CPM with lander/payload is Stage 4) and the Google Lunar X PRIZE. N36 Heavy is IOS modular evolution to heavy-lift. It will consist of 36 modules with larger diameter and higher thrust engines  second-generation CPMs. This launcher is currently in the planning stages. Interorbital Systems is currently an official entrant in the $2 million NASA NanoSat Challenge, and the $30 million Google Lunar X PRIZE as launch provider for, and team member of, SYNERGY MOON. Agreements with other GLXP teams are already in place for flying LEO test payloads, with several TLI missions pending. Using nanosats and picosats at all levels of space research has been found to be effective and affordable, and as a result of many successful missions worldwide, both interest and participation in using these form-factors are growing. In 2009, the task at IOS was to drive the costs of space-access down to an entry point at which a parent with a credit card could buy a child his or her own personal satellite and launch. That price level has been achieved. The future of the small satellite is bright. Interorbital Systems is an active player in this revolution. Each member of the NEPTUNE Modular Series of launch vehicles is assembled from multiple Common Propulsion Modules (CPMs). Payload capacity can be varied by increasing or decreasing the number of CPMs. Each Common Propulsion Module is composed of two tandem propellant tanks and a single throttleable, ablatively-cooled rocket engine. Depending on the configuration, the modules can operate in either blowdown or pressurant tank-fed modes. The capacity of the propellant tanks is regulated by varying their lengths. Construction costs are kept low by utilizing many off-the-shelf components and state-of-the-art assembly line methods. A single fixed, throttleable, low-thrust, liquid rocket engine powers each CPM. When the CPMs are clustered in multiples of three or four per stage, differential throttling of opposing rocket engines provides pitch, yaw and roll control. Stand-alone CPMs will be steered by four small gimbaled vernier rocket engines. Storable, high-density white fuming nitric acid (WFNA) and turpentine/furfuryl alcohol are the CPMs primary propellants. These low-cost, storable, environmentally friendly propellants provide reliable, efficient, hypergolic ignition. The aerodynamic properties of the uniquely configured NEPTUNE Modular Series rockets have been extensively analyzed. Data shows the thrust to drag ratio is acceptable with values less that that of the Space Shuttle. In general, the rockets follow a slow build-up of velocity in the region below 10 km (32,800 ft.), reaching Mach 1 at between 25,000 ft. and 35,000 ft. with the rockets velocity just rising above Mach 4 at an altitude of 33 km (110,000 ft). At this altitude, the atmospheric pressure is extremely low (only 0.125 psi) (sea level pressure = 14.7 psi). Since orbital velocity is around Mach 25, the majority of the acceleration (90 percent) takes place outside of the denser parts of the atmosphere where the drag is extremely small. Launch vehicles with multiple engines have been in use since the beginning of the space age. The Saturn 1B had 8 booster engines, 6 stage two engines, and 2 stage three engines (a total of 16 engines). The Soyuz three-stage rocket has a total of 34 engines, with the upper stage engines included. When looking at the the engine view of the NEPTUNE Modular series rockets, one sees not only the booster engines, but also all of the upper stage engines. This is due to the parallel staging configuration. With the standard stacked stage configuration, the upper stage engines are not visible. On the previous page is an engine view of the Soyuz launcher with 32 booster and vernier engines. The Soyuz rocket is one of the most reliable rockets in the world. The modular NEPTUNE 9 or N9 is a three-stage (parallel-staged) dedicated small-satellite launch vehicle capable of lofting a 60-70kg payload into polar low-earth orbit. It is a 9-Common Propulsion Module (CPM) rocket. (The flight configuration engine and module count breaks down to six CPMs = Stage 1; two = Stage 2; and one CPM = Stage 3). N9 is designed to support TubeSat, CubeSat, and all other small-sat community requirements. Plans for the rocket include batch launches of 40+ picosats at a time beginning in 2012. The NEPTUNE 36 or N36 is a four-stage (parallel-staged), medium-lift launch vehicle capable of placing a 1000-kg payload into polar low-Earth orbit or accelerating a 200-kg payload to Earth-escape velocity. The rocket is composed of 36 Common Propulsion Modules. In its four-stage form, the NEPTUNE 36 is slated to launch the Google Lunar X PRIZE SYNERGY MOON lander/rover (Stage 4) to the Moon. It will also be used to launch a two-person crew module (CM-2) into low Earth orbit for short orbital tourism missions. The crew module (CM-2), presently in development, is Stage 4 in the space tourism configuration. The Neptune 36 is a four-stage (parallel-staged), heavy-lift launch vehicle capable of placing a 4000-kg payload into low-Earth orbit or accelerating 760-kg payload to Earth-escape velocity. The rocket is composed of 36 higher-performing, second-generation Common Propulsion Modules. It will serve as IOSs primary six-crew Orbital Expeditions space tourism and heavylift launcher. The CM-6 is designed to accommodate five expedition crew members and one command pilot. The six-person crew will be seated radially around a centrally located service compartment access hatch. Each crew member has a window providing excellent visibility. The CM is attached to the forward section of the rocket and has the following primary components: Emergency escape system, life-support system, electric power system, docking collar, retro-rocket de-orbit system, attitude control system (ACS), parachute recovery system, and an aft heat-shield for reentry. The CM is equipped with set of four aft-mounted liquid rocket engines. In the event of a catastrophic failure of a major rocket system at the launch site, or anywhere along the launch trajectory, the escape rockets will boost the CM away from the launch vehicle. In this event, the CM is designed to land in the ocean by parachute and to be recovered. Click on this direct link to see an excerpt of a static throttling test of a Common Propulsion Module altitude liquid rocket engine. The test was made at Interorbitals Alpha Test Site, located at the Mojave Spaceport. Rocket engine ignition is hypergolic. When the propellants exit the rocket engines injector, they ignite on contact. Nozzle expansion ratio is ambient. Interorbital Systems will be carrying out further static rocket engine testing as well as at least three low-altitude (50,000 ft) flight tests of a single Common Propulsion Module. A photograph of a Common Propulsion Module Test Vehicle (CPM TV) on its Mobile Launch Trailer (MTA) is shown below. A full-performance CPM SR145 flight test will complete the flight test program before the first orbital launch in 2012.